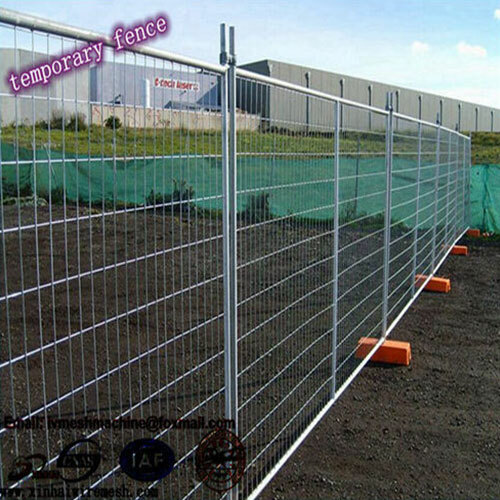 Hot Dip Glavanized Australia Temporary Fence - Buy Hot Dip Glavanized Australia Temporary Fence Product on Anping County Xinhai Traffic Wire Mesh Manufacture Co.,Ltd. Welcome to temporary fence manufacture---Anping county XINHAI traffic wire mesh manufacture Co.,Ltd. Which is the leading of metal fence market in China. 1. material: low carbon steel wire, Q235 wire, Q195 wire was available. 2. diameter: 4 mm, 3.5 mm was common size, Mesh size/ aperture: 60x150mm. 3. width: 2.4 m, high 2.1 m was common size. 4. post diameter: 32 mm was common, 1.5 mm thickness. 5. Surface treatment: hot dip galvanized wire welded, then galvanized paiting on the weld. And PVC powder coated, PVC coated, Or PVC coated + galvanized was available. 6. accessoriey: one sets temporary fence will be including one fence panel, one plastic feet(full within concrete), one metal clamp. And the surpost tube was available. 7. _____________ how much sets do you want. All the size / specification can be customized. Send the requirement or drawing to us for order. 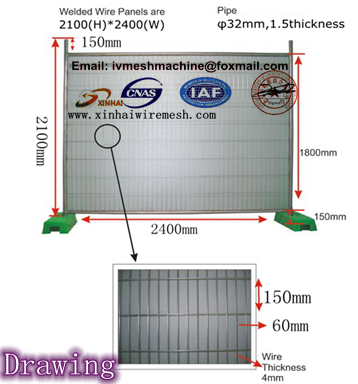 Contact us: ivmeshmachine@foxmail.com , the quotation will be arrived within 24 hours. hot dip galvanized wire welded, then galvanized paiting on the weld. For common size temporary fence, one 40 feet high container can loading 550 sets. 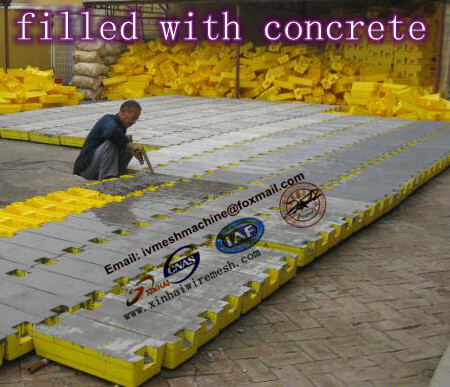 Email: ivmeshmachine@foxmail.com The quotation will be send with in 24 hours, email now!